Identity and Access Management is moving beyond IT security and compliance to become a valuable enabler that drives business performance and competitive advantage. But planning and deploying IAM is not without its challenges. 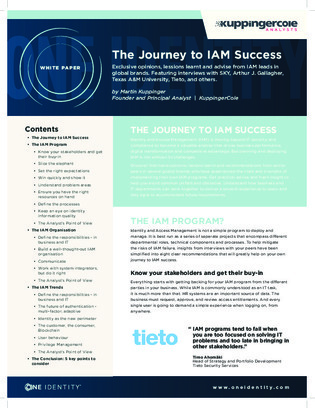 Also discover first-hand opinions, lessons learnt and recommendations from senior peers in several global brands who have experienced the trials and triumphs of implementing their own IAM programs.